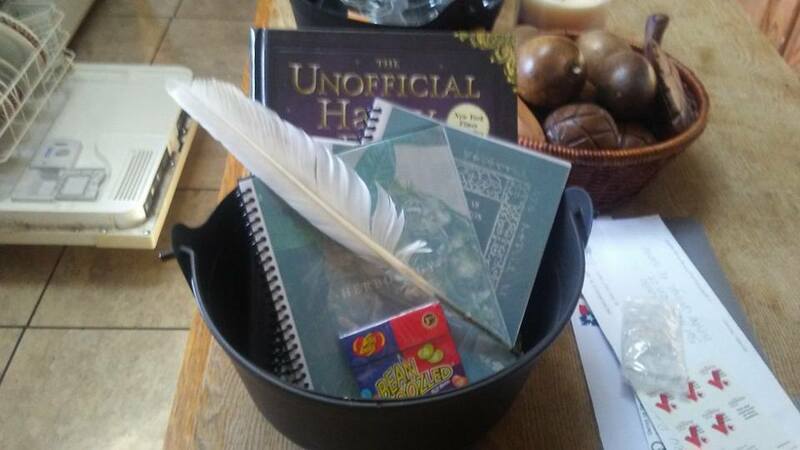 Today we had our Wizard Party for back to school! The kids made Wizards Trunks. They can keep all their Magic School stuff in these hopefully. They got all their school supplies and their new decorations, which they loved. This afternoon they are having sausages, eggs, english muffins and dragon blood punch for dinner! They loved the chocolate frogs which I did not enjoy making at all. They played with all the new decorations and acted silly. They look so cute in their "uniform" shirts! Damian enjoyed making fun of the sorting hat! If you want to see the decorations in detail you can go here. There was just so many of them there is no way I can post them all! I tried to get all the little details in them. I don't think they were too happy about Azkaban. Azkaban is the prison for magic folks and if you don't behave you have to go. In order to get out your gonna have to give up all the money from your Gringotts vaults. They earn money with Goblin Jobs. My bedroom where all this stuff has been stored is a wreck so it will be no suprise if I find things later. If you would like to see them making their trunks or being silly you can go here. As of today they are ready for Magic Schhool.